Back in 1986, aspiring filmmakers Jeff Krulik and John Heyn had the bright idea of taking some professional video and sound equipment to the parking lot of Maryland’s since-demolished Capital Centre, where young, mulleted fans were gathering in anticipation of a concert by British rock titans Judas Priest, who were then touring in support of the Defenders Of The Faith LP. Though they had no real strategy in mind, Krulik and Heyn ended up making what many consider to be the supreme document of the mid-1980s metal scene, an era awash in booze, PCP, and sleeveless T-shirts. While the resulting 17-minute documentary, Heavy Metal Parking Lot, didn’t exactly bring in a lot of money and had trouble securing showings at film festivals due to not being on film, it became a viral sensation in the analog, pre-internet years when weird movies had to exist in some physical form to be shared. By the 1990s, when grunge made hair metal more or less obsolete, a copy of the unusual doc even found its way to Nirvana’s tour bus. 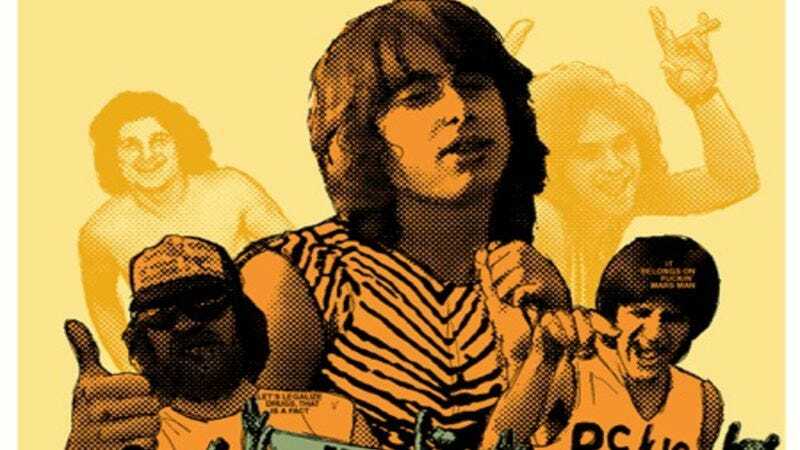 Now, as Heavy Metal Parking Lot stares down its 30th birthday, The Concourse’s Dave McKenna has assembled a thorough history of the doc’s unlikely journey to cult infamy, including interviews with some of the film’s now middle-aged stars.